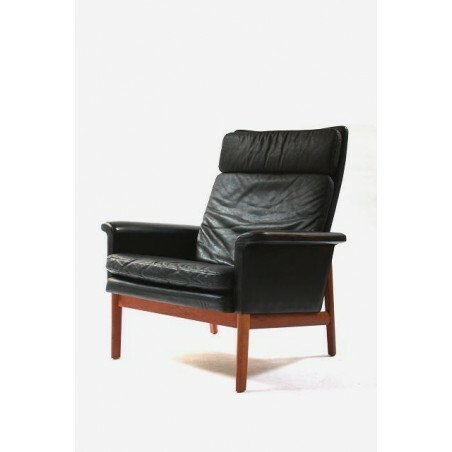 Original armchair from the Danish designer Finn Juhl. 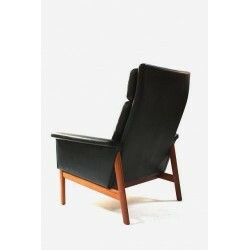 The highback chair is designed in 1967 for France & Son, Denmark. 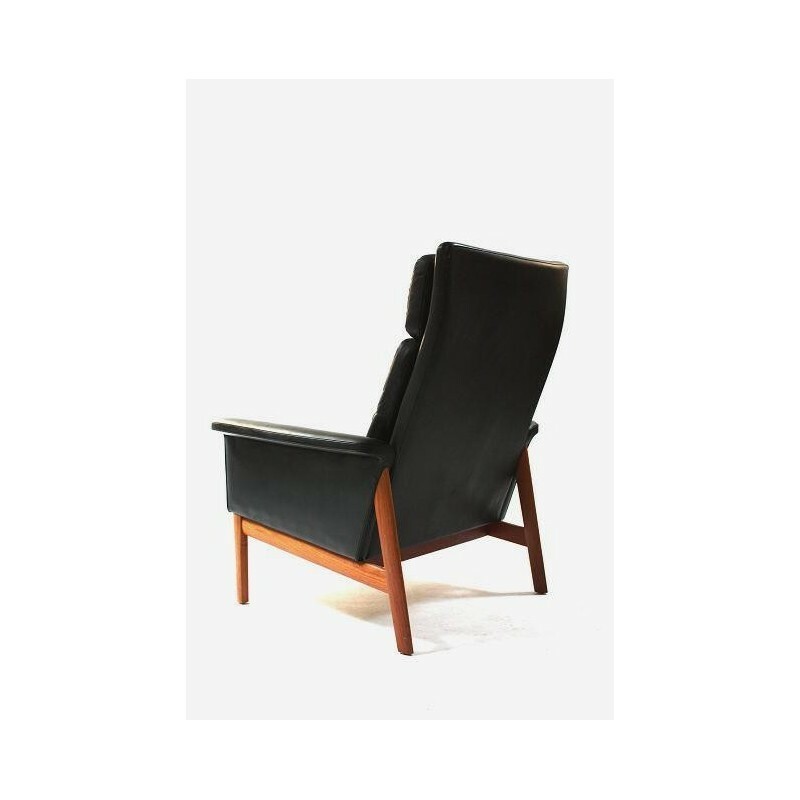 The loung chair is made with a black leather upholstery and a teak frame, the leather is in a good condition given it's age ( the corners are slightly lighter colored, no scratches or cracks) see detailed pictures. 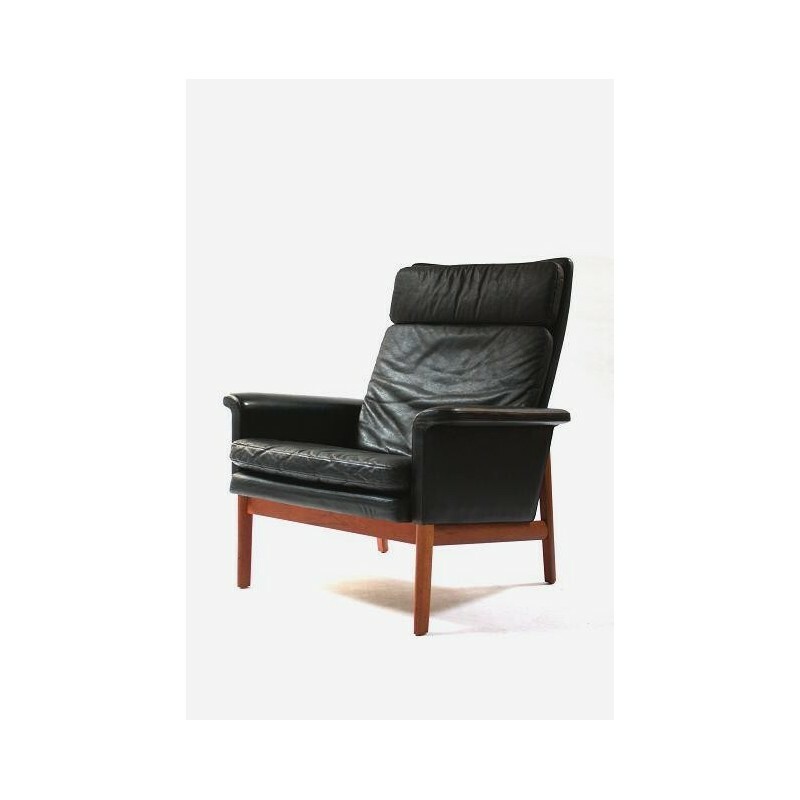 The backrest is slightly flexible which give a high comfort. 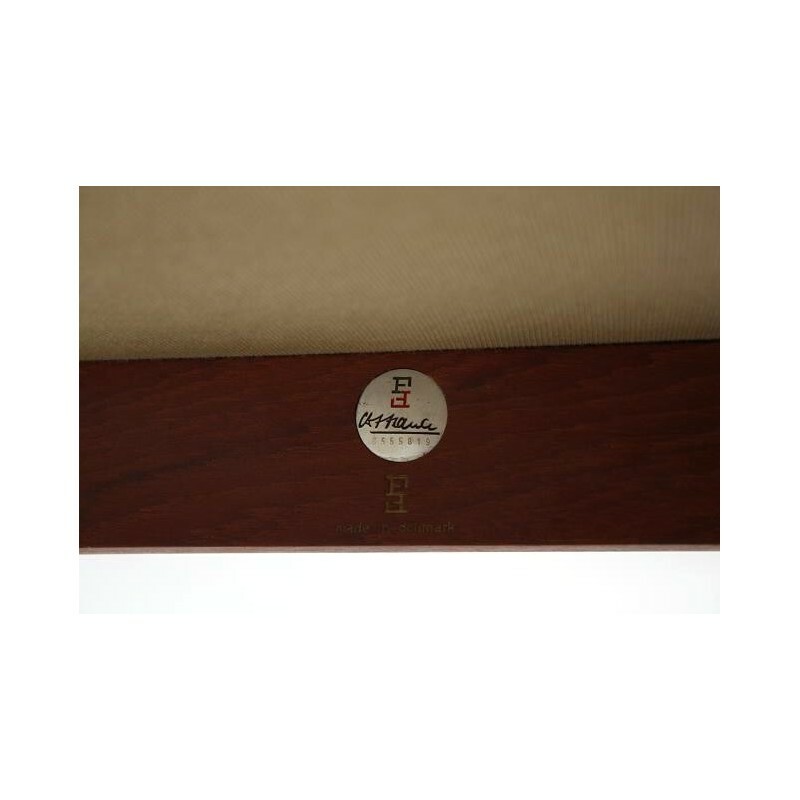 The dimension is 84 cm W/ 40,5 cm SH/ 96,5 H.